Get the latest posts from CrowdReason delivered straight to your inbox. Like every industry, property tax has its share of conferences. 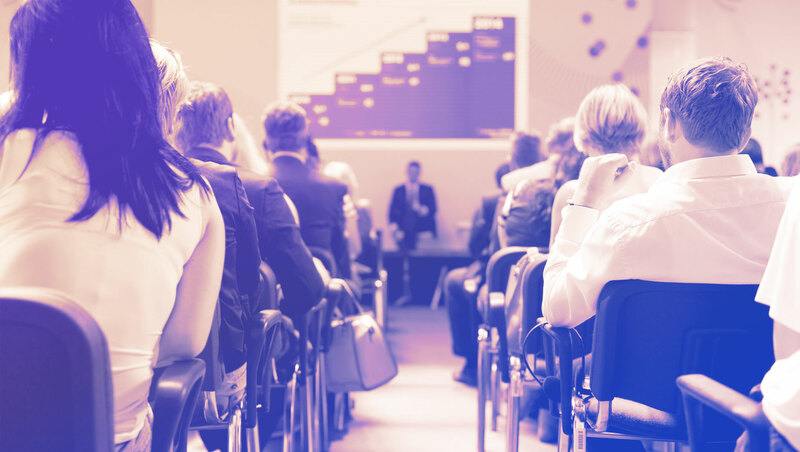 Whatever you’d like to know more about, whether it’s real estate, personal property, business valuation, compliance, depreciation, tax technology, or anything else, there’s probably a conference that covers it. You’ll also find conferences that specialize in certain industries (like the Broadband Tax Institute’s annual conference for internet and cable companies) and ones that focus on taxation in certain regions (like the Texas Association of Assessing Officers conference). There’s no shortage of learning opportunities for those looking to expand their knowledge and skills. Learning is valuable, but it’s not the only reason to attend conferences. Networking can help you get even more value from a conference. Consultants can promote their property tax services and find potential leads. Property tax software providers can connect with new users, especially if they can set up a booth to display their products or services. Whatever your position, there are lots of opportunities to connect with people who can potentially help your business—or your career—grow. That said, there’s no right way to attend a conference. Some people like to attend every cocktail hour; others prefer to stay in the background and soak in the technical aspects of every presentation. No matter where you thrive in the world of conferencing, you’ll benefit from attending. While I always encourage people to make new acquaintances, in my view the main goal when attending a conference is to learn about other people’s challenges and how they’re solving them. Whether you do that through talking or listening is up to you. As you peruse the conferences listed below, make note of the primary audience for each. Some were designed for certain audiences—consultants, organizations, or assessors. While it makes sense to attend the ones designed for your role, don’t automatically discount a conference just because you’re not the primary audience. I’ve attended many of these conferences over the years and have always found it beneficial to hear other people’s perspectives on everything from how they respond to property tax valuation implications to how they manage increasingly massive amounts of data, and everything in between. Hearing different points of view will undoubtedly broaden your knowledge base and give you an edge in your future business interactions. Interested in how the latest property tax technology can give you a competitive edge? Download this free white paper to find out about the technologies that are poised to make the biggest impact on property tax teams through 2020. If you find a conference you’re interested in below, I encourage you to attend. All are high quality and offer great opportunities to gain new insights about property tax. © Copyright - 2017-2019 CrowdReason, LLC. All rights reserved.